Cats are great pets to have and in order to protect the ones you love, a cat collar is a necessity. Depending on your cat and your preferences you may have an indoor or outdoor cat. Either way, a collar can keep them safe if someone else finds them and needs information on the owner. By having a collar in the chance that your beloved cat were to go missing, your cat can be found, labeled, and brought back to you. The following cat collars are stylish and will help you know that your cat will be secure and safe. 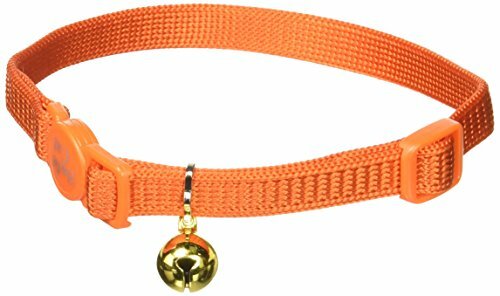 The Coastal Pet Products CCP7001SSO Nylon Safe Cat Adjustable Breakaway Collar with Bells is available in six different colors allowing for you to personalize your cats color to your favorite color. This cat collar is very stylish and your cat will be comfortable wearing it. The collar can adjust from 8 to 12 inches based on the size of your cat’s neck. The Coastal Pet Products CCP7001SSO is made of nylon material for an extra comfortable fit. It has a buckle that was made to release if it gets caught on something. This safety feature will prevent your cat from getting injured while they explore. The bells on the collar will allow you to hear your cat coming so you will always know where they are. The SKL Hot Pink Pet Collar with Sparkly Rhinestone for Cats and Dogs will allow you to style your cat in the most modern cat collar on the market. 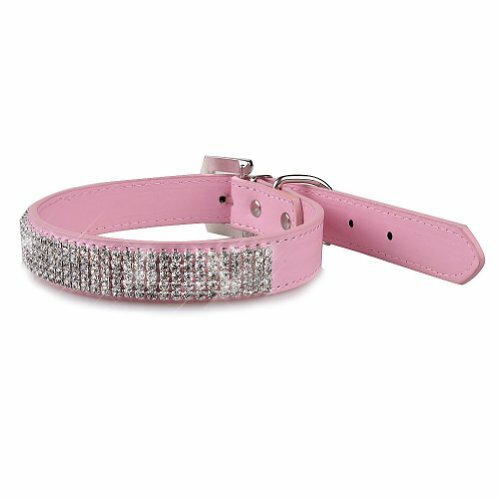 With the stylish bejeweled hot pink collar your cat is certain to stand out among your friends and families pets. For the most modern and refined look this cat collar has a rhinestone pendant in the shape of a heart to finish off the look. 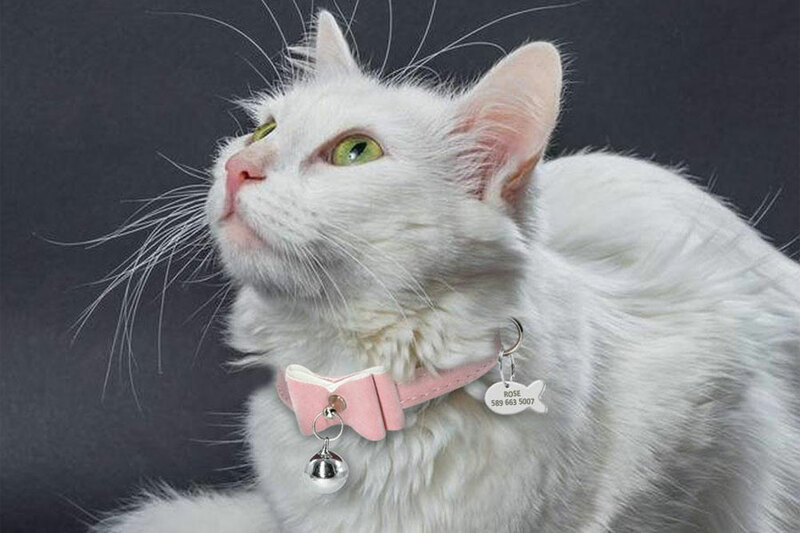 You can purchase this cat collar in several different sizes allowing you to find the perfect collar size to make your beloved cat comfortable while being the star of the show. The collar will adjust from 7.87 inches to 10.43 inches. This also allows you to maintain this prestigious cat collar as your cat continues to grow. Make sure to measure the size of your cat’s neck to ensure you get the right sized collar for a comfortable fit. The RogzCatz Small 3/8-Inch Glow Cat Safeloc Breakaway Clip Adjustable, Reflective and Glow-in-the-Dark Cat Collar is sure to help you know where your cat is at all times. For your cats safety the buckle on this cat collar was made to open if the collar gets caught on something. This will prevent your cat from getting injured. This collar is meant for cats that weigh between 6.6 pounds to 11 pounds. With this user friendly cat collar you can easily have a cat collar that will last and adjust as your cat grows. This collar has three different design options making it so you can find a collar that will match your cat’s personality. It is adaptable for your cat’s neck and can adjust from 8 inches to 12 inches allowing your cat to be secure and comfortable. There is a removable bell that announces your cat’s presence.The material is a glow in the dark fabric and is activated once light hits the material allowing you to see your cat, even in dark areas. Underneath the collar, the grey material is reflective allowing the collar to be visible to cars. This is an extremely effective feature if your cat spends time outdoors.